You are currently browsing the tag archive for the ‘comparison’ tag. I went to bed the other night with a list of comparisons running through my head. I’ve written on comparison before. It steals your joy and rips you off. It’s a brutal attack. Even as I re-read the words I have penned previously my heart begins to argue. It’s unfair to place limitations on myself based on my comparison to someone else. It’s unfair to what God wants to do to and in and through my life based on the shadow someone else casts. I am not called to fill someone else’s shoes, I am called to walk worthy the call of God for MY LIFE. God has uniquely wired and gifted each one of us. He has created us on purpose with purpose. Each person has their own purpose and their own aspects that God will work through to complete the good work He has begun, in our lives, in those we lead, in those we reach. When I compare my life, my calling, my reach, I fence in what God can do. I shrink back, into myself, and take my eyes off the great power that God has placed within me. I look down, at my limitations I entrap myself, instead of remembering I am just a jar of clay so that the all surpassing power be shown to be of God. When I compare my life to others something inside of my slumps. God would have us instead keep our heart encouraged in His love and grace, in His power and His faithfulness. 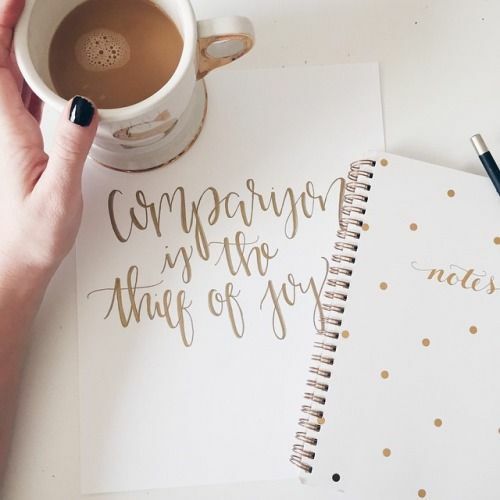 Comparison robs us of that joy, encouragement and the experience of living by faith. 1. I am called. On purpose, with purpose. 2. I am created. On purpose, with purpose. I am growing. I am learning. I am stretching. But in all of those things I am completely His and complete in Him. 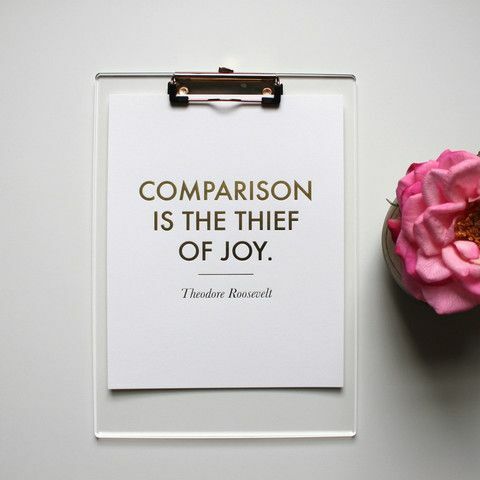 What helps you beat the comparison trap? When my son was about 1 I was part of an awesome preaching course our church ran. The course taught us how to prepare and preach, but the most important lesson it taught me was to embrace who God had made me to be. As classmates stood up and shared their messages it seemed like everyone was gifted to be deep and theological or teacherish with 5 points all beginning with the letter E… and then there was me. I couldn’t speak with the same eloquence that they did. I couldnt speak or read or think Greek. I had to embrace that this was and is how God made me. I had to quit comparing myself to others because this is who I am and what I bring is what God wants to say through my expression. 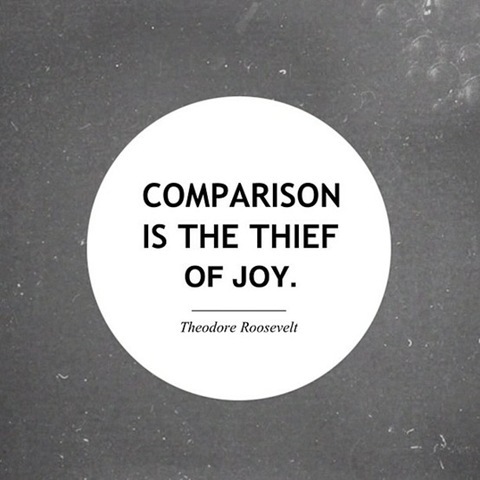 Comparison is a brutal attack on one’s self worth… and more importantly on God’s creativeness in creating me. Everyone has their place and their role. If we get stuck in a comparison trap then we put a guard up and restrict what God can do to and through us. We put walls up. We devalue ourselves and our Creator. When we’re comparing ourselves with others we’re attributing value to their offerings and talents, and dismissing the value in who we are and what we offer. Whose opinion of you counts? 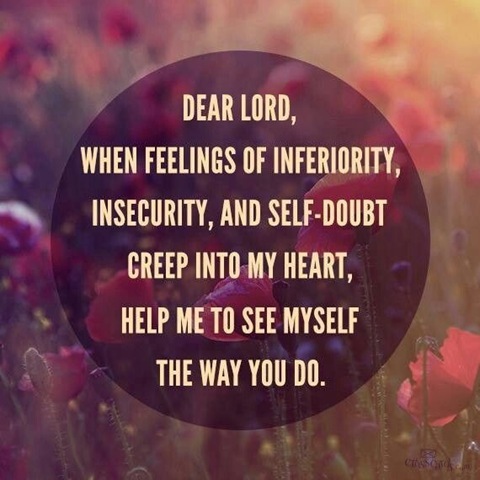 From whom do you desire approval and fear rejection? Whose value system do you measure yourself against? In whose eyes are you living? Whose love and approval do you need? Most of us have the desire to be liked by everyone. The problem is that desire can never be filled. Even Jesus, the only perfect person to ever live, was not liked by everyone. Actually, He was hated and killed by a mob of people. If people hated Jesus, you can rest assured that from time to time someone may not like you. That is okay. Really! Come to grips with that—it is okay if other people don’t always like you. This is often the hardest thing to grasp because we place too much value on the opinion of other people. people pleasing is like comparison – a thief of joy. and often the attempts we make to please people fall short and then we fail anyway. when we try to please everybody, we end up pleasing nobody. But the fact is, people pleasing isn’t about pleasing others, but fending off our fear of rejection. Those of us who would consider themselves people pleasers are generally individuals who feel the need to be accepted by the world around them. And not just a general acceptance, but that of each person they come in contact with. its good to want to live a life that enriches those around us, to have friends and family that we value. but when we mask who we really are to please them we are slowly losing ourselves. We need to refrain from comparing ourselves to anyone else because God doesn’t want us to be frustrated and feel unworthy of the blessings He desires to give us. Comparing our lives with other people’s lives is unfair, to them and to us. It’s unfair to them because if we become jealous of what they have, what they know, how they look, etc., we start to resent them. Then we can no longer appreciate them as the wonderful person God made them to be. the challenge is to live authentically. settled in our own skin, quirks and all. Know your priorities and values. This can help put the brakes on people pleasing. Who are you at the core? What is your purpose? What is your vision? What are your strengths? God does not love you because of your performance; He loves you because of your position as His child. What gives us our identity is not colour or culture, wealth or relationship status. But chosenness. You aren’t loved because you’re valuable. You’re valuable because God loves you. 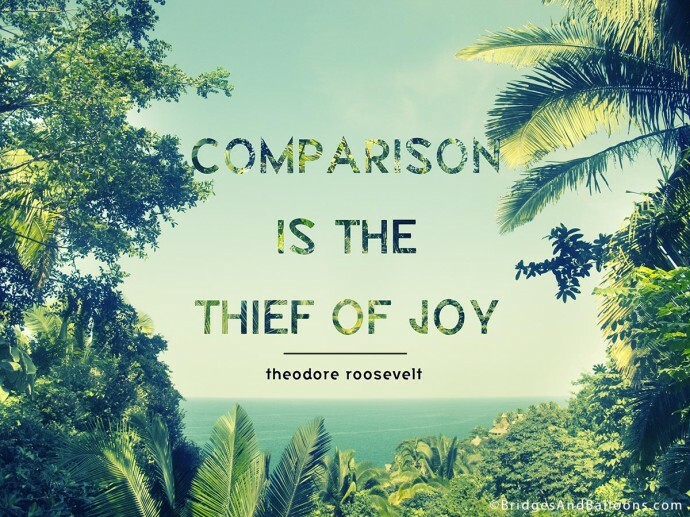 "When comparison sneaks in, it can be hard. Worse than hard. It can just quite simply make me forget all the strengths I do have. And when we forget, our hearts shift. We stop being thankful and instead become consumed by that little thing we don’t have. What a dangerous place to be. i have my own voice and style and usually like to *try* to be real and just didn’t think i was deep and theological COMPARED to the other people in the group. people even said i was funny. which would be good if i was trying for that. but i had to get over that. this was and IS how God made me. i cant speak with the same eloquence that they did. i make strange noises and sound effects. i have used a power rangers youtube clip to illustrate a major point. i’m me. and i’m reconciled with that now. 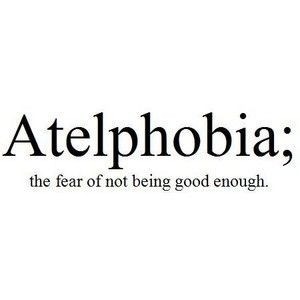 in fact i try to embrace it. because that is who i am and what i bring is what God wants to bring through my expression. one of my housegroup girls gave me a great compliment the other day – about my preaching – but i wont repeat it here because it was so priceless and funny. but it reminded me, that if i dwelt on trying to compare myself to everyone else, and if i tried to modify my style and put myself in a box… well… not worth contemplating. 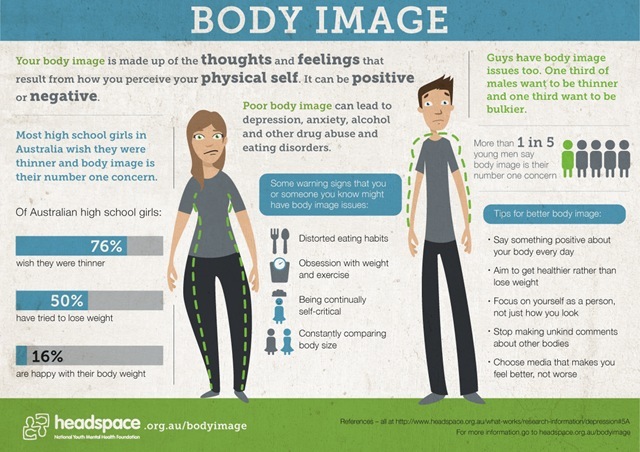 will we limit ourselves based on what we think of ourselves or what we think others may think of us? will we limit GOD THROUGH US? comparison and intimidation can take root in our heart when we’re feeling insecure about who we are and who God has called us to be. God extraordinarily works thru very ordinary men and women – He uses ordinary vessels to spread His good news. How remarkable is that!